Sub-tank fills the system mechanically by the float. The cold storage tank should be higher than the solar water heating system. Air vent should be installed on the sub-tank to release the vapor in summer. The hot water is drawn from the bottom and the back of the valve. Allows a lower pressure on the system. Prevents any heat loss because it slowly refills water. Delivers the full benefit of using a hot water storage tank. There are two kinds of electric valves (low pressure and high pressure), Hot water outlet should be installed on the bottom storage tank opposite to the valve. The low pressure valve is installed when the cold storage tank is higher than the system. The high pressure valve is installed when the system is directly connected to the main drinking water. 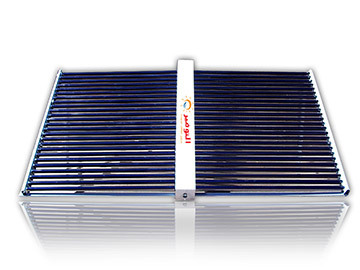 Provides complete control over the solar water heaters. Guarantees the controlling of water quantity in the storage tank of the system. 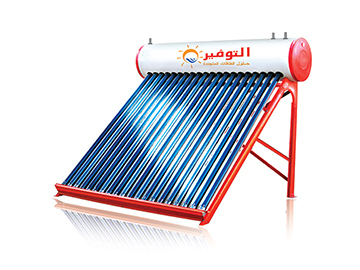 Delivers the full benefit of using a hot water solar water heater storage tank. The pump works in the same way as the electric valve does. Has full control over the system. Supply cold water from one side and pull hot water from the opposite side and always from the bottom, flexible connections should be used in input and output of the system.